June 28, 2016 – MonoSol, the world leader in water-soluble films, announces its newest food grade film customer – Dicoisa. A supplier of color additives based in Mexico City, Dicoisa is using MonoSol’s Vivos® film to package and deliver food colors to processors in Latin America. MonoSol’s film enables operational optimization via portion control by providing exact measurements per batch and improving convenience. This technology also prevents cross contamination by eliminating dusting in the manufacturing environment. Pouches engineered from MonoSol’s newest film will dissolve and release their contents when exposed to water. The film is transparent, tasteless and odorless. By using pre-measured quantities of ingredients delivered with the food grade film pouches, foodservice kitchens and food/beverage manufacturers can improve their mixing and product consistency. 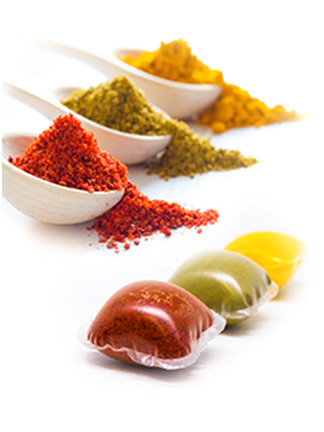 MonoSol’s newest film can be used to deliver a wide variety of ingredients, food colors, spices, flavors, sweeteners, enzymes, oils and much more. MonoSol will be demonstrating its new food grade water-soluble films at IFT 2016 booth #3907 on July 17-19, 2016 at McCormick Place South, Chicago, Illinois, USA.